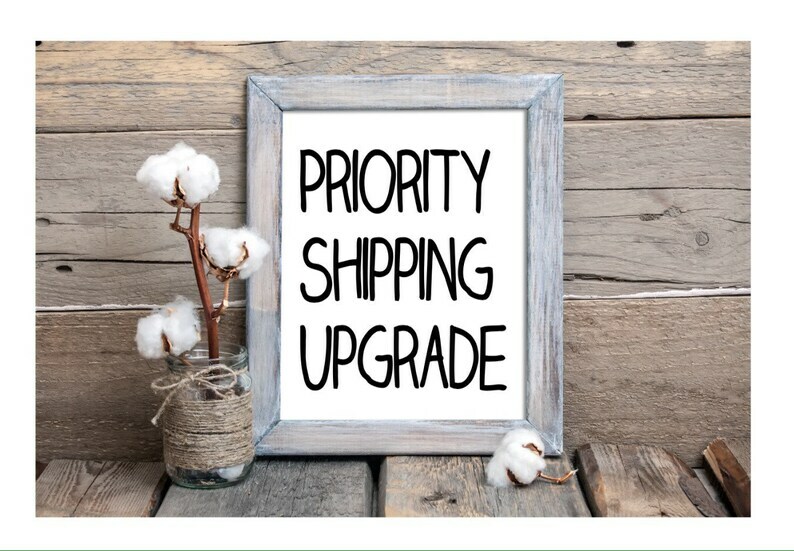 This listing is to upgrade your free shipping via First Class US mail to Priority Mail. This is to be purchased only if you have already made a purchase at PipsyandJohnny on Etsy. Please put the name of the item you're purchasing in the notes to seller. Once I ship an order it is in the hands of the US post office and I no longer have control of its delivery. There are no refunds on your shipping upgrade for any reason. Loved the item and the shipping. It arrived a day earlier than expected. Arrived in time for my wife's birthday. She was thrilled.